Download Product Data Sheet to learn more about VPC. Builds an isolated network environment based on Alibaba Cloud. Layer-2 logical isolation is achieved between different VPC instances. SDN configures the network as required, customizes the IP address range and route table. Works with multiple products and easily manages Internet portals to provide a hybrid cloud architecture. 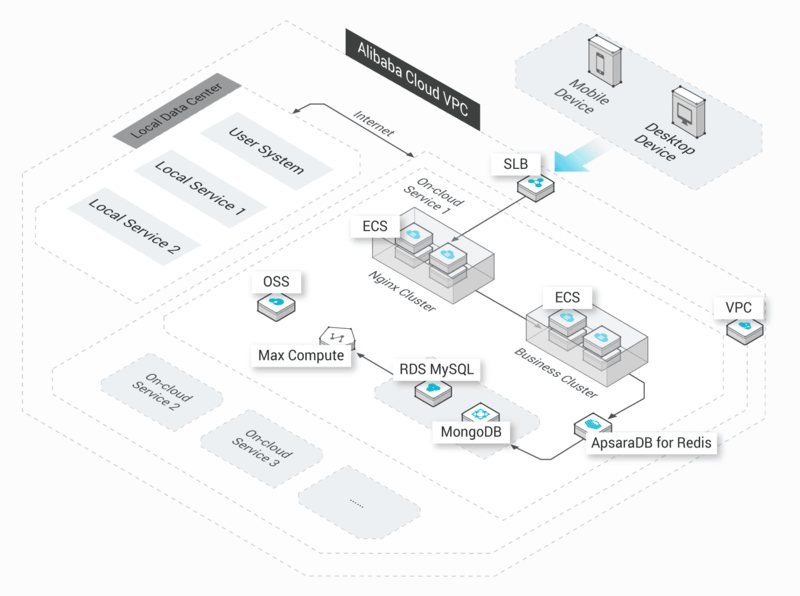 Achieve a fully isolated VPC environment for free on the Alibaba Cloud platform. Virtual networks are built on a physical network based on the OverLay technology. VPC instances are isolated using Vxlan. Layer-2 logical isolation is achieved between different VPC instances to prevent them from communication. You can customize the IP address range, network segment, route table, and gateway. You can also plan and manage the network as needed. You can divide the private IP address of VPC into one or several subnets using VSwitches and deploy applications and other services under the corresponding VSwitch as needed. The route rules of VRouters are configured based on business needs to manage the forwarding routes of VPC traffic. With the help of the security group function, product instances in VPC can be classified into different security domains and each security domain can have custom access control rules. RAM can be used to manage network permissions. Meets the requirement for VPC resources to actively access the Internet and provide external services. EIPs can be bound to cloud product instances of the VPC type in the same region as needed to allow the instances to access the Internet. NAT Gateway supports SNAT configuration to meet the needs of VPC resources to actively access the Internet. It also supports DNAT configuration and provides IP address mapping, port mapping, and 10 Gbit/s forwarding capabilities to enable multiple services to share the bandwidth so as to save costs. VPC can be connected to a traditional IDC through leased lines or VPN to build a hybrid cloud. Express Connect can be used to establish an intranet connection between VPC instances in different regions and of different users, to achieve interconnection of user networks on Alibaba Cloud. Through leased lines, VPC can communicate with intranets of an IDC with excellent communication quality to easily build a hybrid cloud. The service system can be deployed in both local and on-cloud IDCs. Different service modules are built on Alibaba Cloud VPC to create fully isolated on-cloud environments. On-cloud and off-cloud services are interacted with each other through the Internet. VPC is an SDN that enables you to customize network settings as required. Management operations take effect in real time. VPC instances of different users are fully isolated from each other and do not share the Internet. An on-cloud IDC is built on Alibaba Cloud VPC and connected to the off-cloud IDC over a leased line. This protects the user's core data, perfectly copes with service surges and fast data synchronization, and implements a hybrid cloud solution. Core data is stored in the off-cloud IDC to ensure security. The on-cloud IDC is used to handle surge of real-time service access. By using leased lines, on-cloud and off-cloud data can be fast synchronized in batches. If you create multiple applications based on Alibaba Cloud VPC, where each application must provide external services and their traffic fluctuations are inconsistent, you can share bandwidth among multiple IP addresses to minimize the effect of these fluctuations and reduce costs. Port mapping and IP address mapping are provided, allowing VPC ECS instances to provide external services. Multiple VPC ECS instances can share Internet bandwidth to optimize costs. NAT Gateway provides the large-bandwidth throughput and a large number of connections. 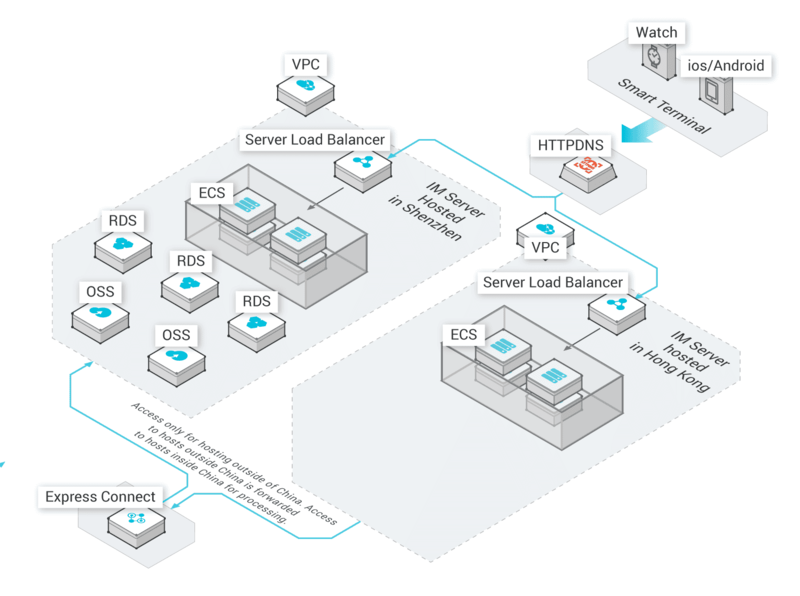 If you create on-cloud interactive modules on VPC and deploy other systems in multiple off-cloud physical IDCs, the on-cloud VPC ECS instances must be able to proactively access the Internet to synchronize content processed on the cloud to the off-cloud IDCs, providing users with reliable HD video services. 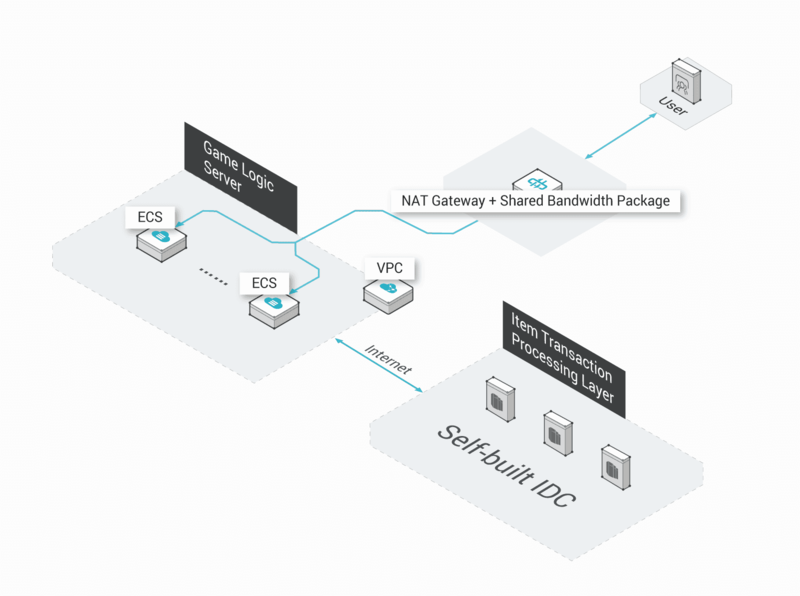 Multiple VPC ECS instances can use the SNAT function to proactively access the Internet, ensuring convenient management. VPC ECS instances do not need their own public IP addresses, avoiding management hassles and security risks. 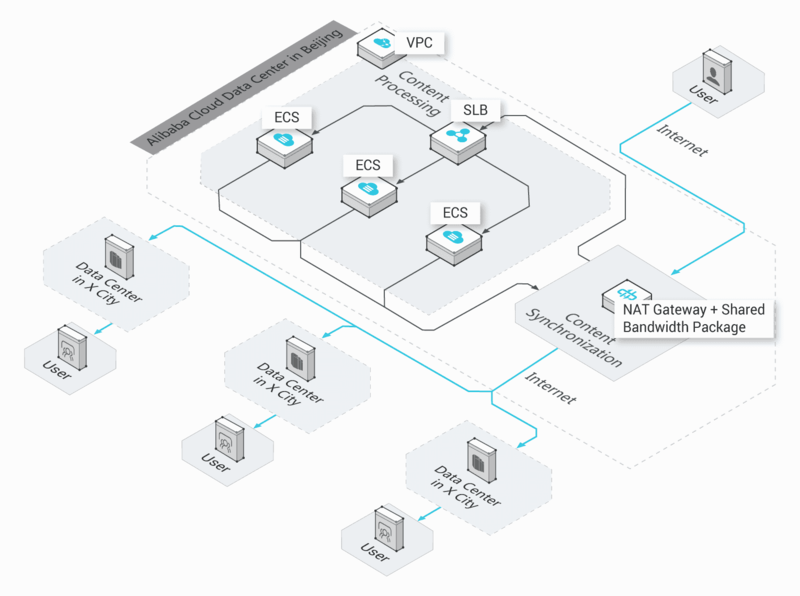 On-cloud services can be built fully based on VPC with users spread across all regions. To speed up user access, networks of the service systems in different nodes must be interconnected with each other at high speed. Services are deployed on Alibaba Cloud VPC, which is secure and reliable. 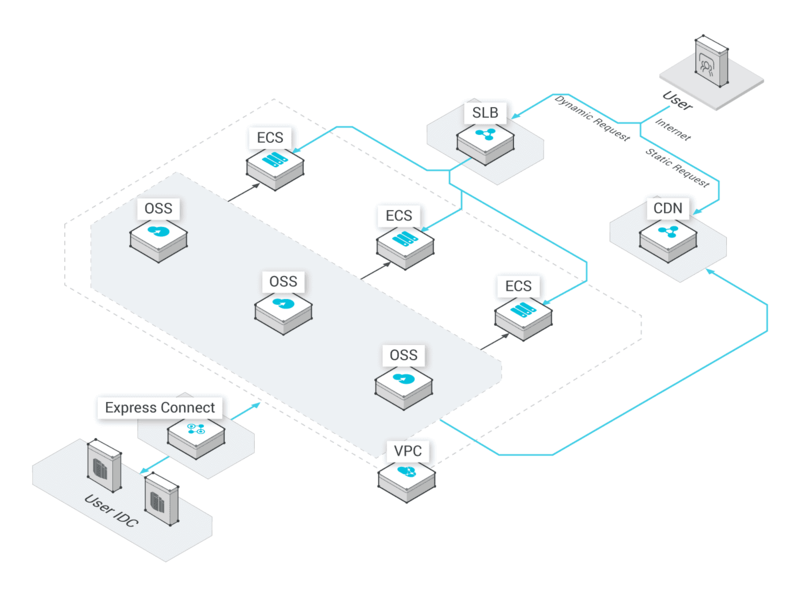 Express Connect is used to connect different VPC instances, ensuring the quality of cross-region interconnection. VPC with Express Connect provides the maximum interconnection bandwidth of 10 Gbit/s, easily meeting the needs of massive applications.